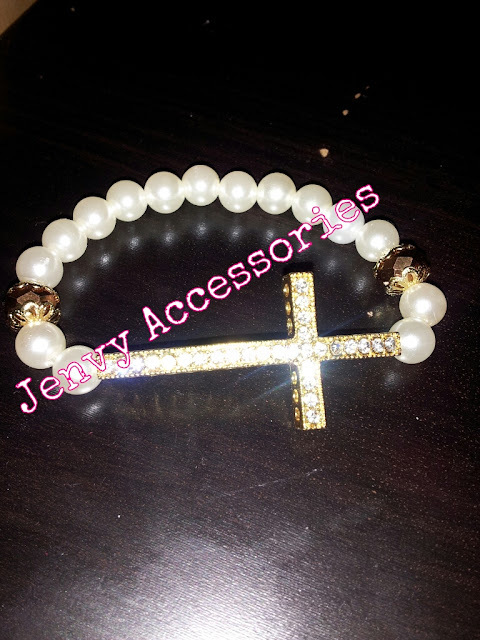 This absolutely gorgeous bracelet is done in faux pearl with a gorgeous golden cross right in the center. The cross shines beautifully alongside the pearl color. This can be yours for only $12. We also have this item available in silver and can change the bracelet colors to that of your choice.